In virtue than in vengeance. 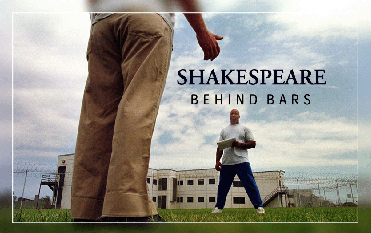 Shakespeare Behind Bars is a documentary about Curt Tofteland’s work with inmates at the Luther Luckett Correctional Complex in LaGrange, Kentucky. 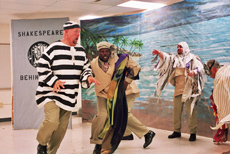 He worked with groups of about 20-25 inmates each year to produce one of Shakespeare’s plays. 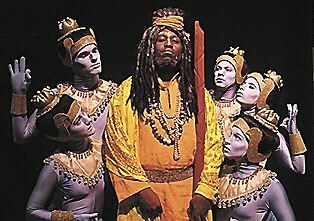 The film focuses on the group’s practices during 2002, culminating in their 2003 production of The Tempest. It’s amazing. I can’t get over how touched I am by this film. It is very complex emotionally. I felt like I really got to know some of the inmates involved. 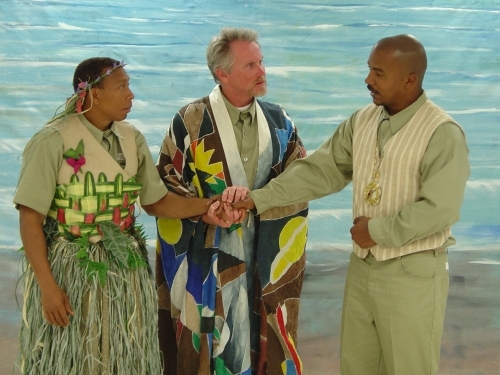 The film follows them as they discuss and rehearse the play, but it also takes time to let several of the inmates speak about themselves and their crimes and their time in prison. T-I-M-E. The film gives you a glimpse into prison life. What I find most upsetting is the T-I-M-E involved. For me, and most people around me, there are not enough hours in the day to do everything we need and want to do. These men are serving long sentences and they have nothing but T-I-M-E on their hands. I found this a bit overwhelming to really consider. A man in his 20s, in prison on two life sentences with no possibility of parole, and he has nothing, absolutely nothing, but T-I-M-E on his hands. For the rest of his life. Sammie (who plays Trinculo), appears in the film as a sweet and thoughtful man, a hard worker, and someone you wouldn’t mind as a neighbor or co-worker. It’s hard to mesh that image with his description of his crime: he had already been in and out of prison twice and then he strangled his girlfriend in a fit of rage when she was threatening to expose their affair to his wife. You see, I say complex emotions. These are men who have done horrible things. Sammie admits tearfully that it is difficult for him to forgive himself, and find any goodness in himself knowing what he did. Tofteland says that these men have already been judged and sentenced by society, so he doesn’t feel the need to judge them himself. He simply goes in and works with them. The heart and soul that they put into their practice and their performance is amazing. This is a film that’s well worth watching. 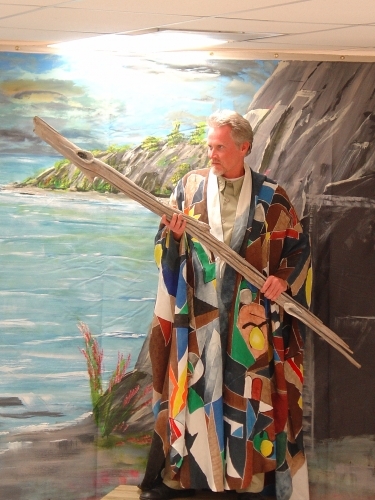 I found out about it because Tofteland will be speaking at an event sponsored by the Chesapeake Shakespeare Company at 7:30 PM on April 1 at Oliver’s Carriage House in Columbia, Maryland. 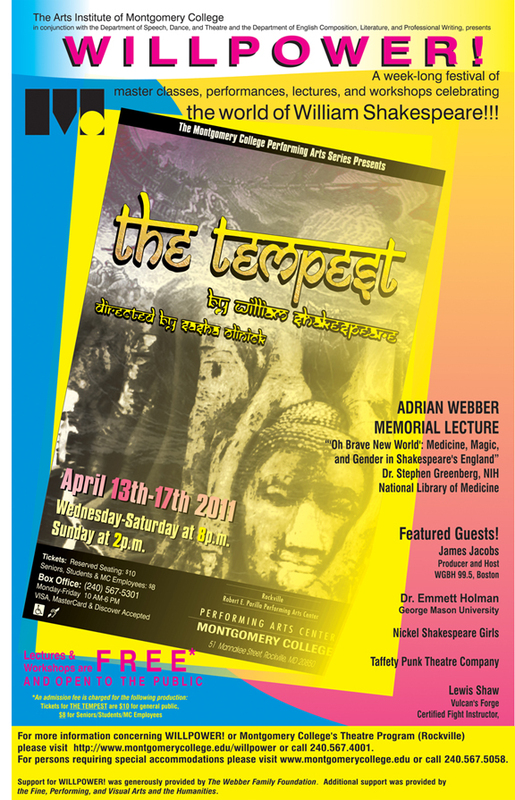 If you are in the DC/Baltimore area and you can get in (space is very limited) you may want to catch this. The film is available on Netflix.